Nairn Lochloy (Nairn) Nestling between sand dunes a beautiful marina and a championship golf course this superbly located park offers the perfect base for a relaxing family holiday in the heart of the Scottish Highlands. 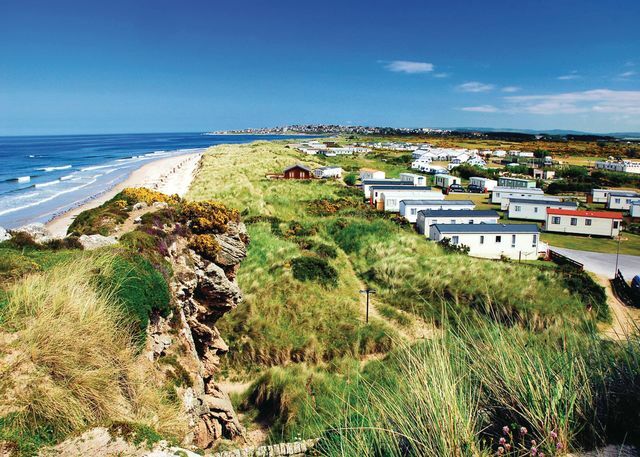 Silver Sands Holiday Park (Lossiemouth) Set on the lovely white sand coastline of the Moray Firth close to bustling Inverness this superbly located park boasts a newly refurbished family entertainment complex. Perfect for creating wonderful holiday memories in Scotland’s famously mild and spectacularly beautiful north east region.